For hard soldering of gold or silver frames. The paste is a borax flux with excellent wetting agents. Effectively holds a tiny silver chip in place while you work. 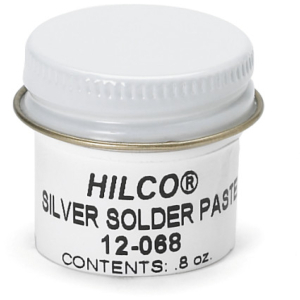 great for use with Hilco's noble yellow and white Gold solder.